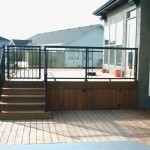 Below are a number of images from recent jobs and a few notes. 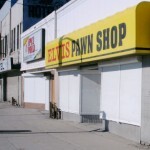 Some are residential while others fall into the commercial categories. 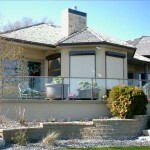 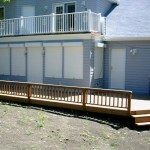 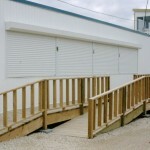 We handle everything from our specialty in security roller shutters to decks and fences. 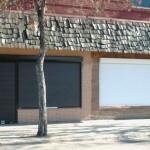 Downtown business protected with shutters. 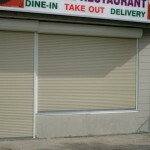 Restaurant showing the different colour combinations in this case white and almond. 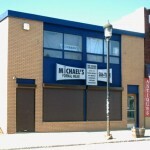 Before the art work was added. 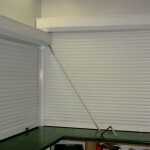 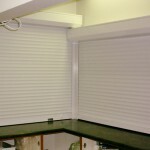 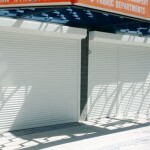 Shutters can look great down as well as protect your business. 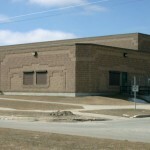 Morris curling club concession, from outside. 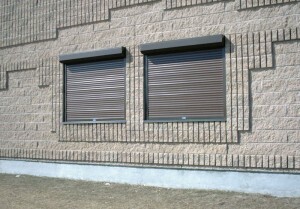 Crank operator on these shutters. 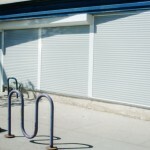 Michaels in Selkirk Ave protect their windows with shutters. 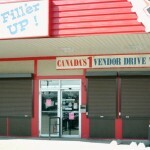 Side by side businesses protected by shutters. 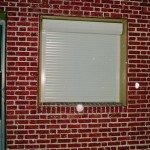 School windows protected by shutters. 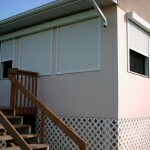 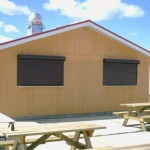 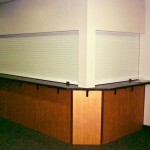 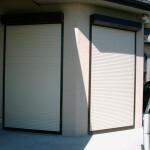 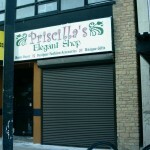 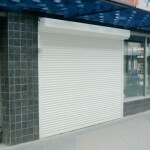 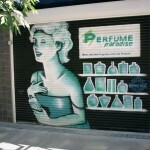 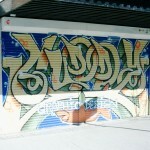 Shutters can be decorated to fit the business they protect. 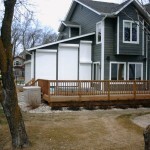 Prairie Stained Glass front windows. 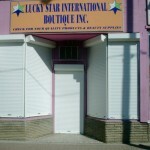 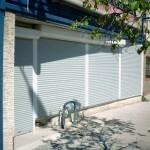 Store front shutters in Transcona. 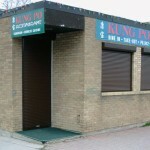 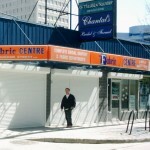 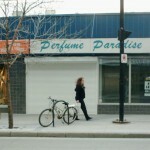 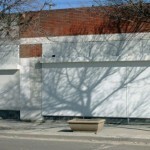 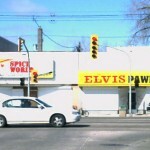 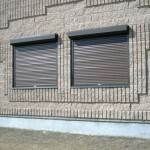 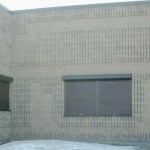 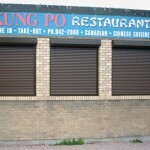 Commercial shutters on Selkirk Ave Wpg. 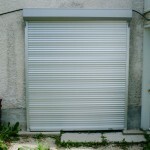 Close up look at aluminum gate. 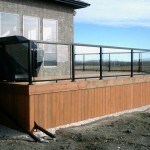 Railings have glass to give a very open look. 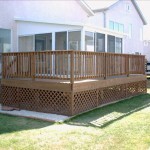 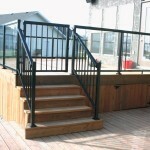 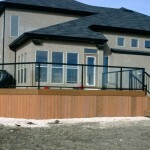 Deck with aluminum railings and gate. 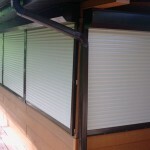 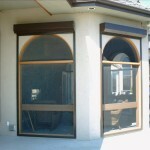 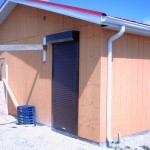 Shutter, deck and railings all done by Kiwi Installations. 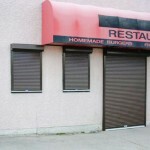 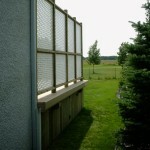 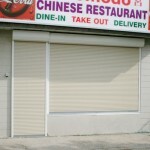 Single window shutter on a business in Selkirk Mb. 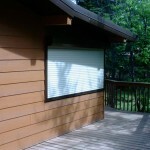 Click on any image for a closer look, and in some cases some extra information.